Infinity displays are all the rage among notebook buyers these days. Dell’s XPS 13 (2015) was an excellent example of what’s possible when it launched earlier this year and now, they’re bringing the gorgeous screen to its bigger brother. Loaded with Microsoft’s latest as part of a Windows 10 hardware preview, the Dell XPS 15 on display at Computex this week looks absolutely stunning. Unfortunately, Dell was tight-lipped regarding the machine’s specifications although it’s highly likely that it’ll debut with a new fifth generation Intel Core processor. We understand that Dell forbid members of the press from touching the machine. As The Verge notes, that was probably a good idea as it managed to attract a wealth of fingerprints and smudges during its brief demonstration by Microsoft’s Nick Parker. The revised Dell XPS 13 is available with a 1080p non-touchscreen on the low end – like the one we reviewed – and a QHD+ 3,200 x 1,800 touchscreen on the high end (for an additional $300). The revised XPS 15, due out later this year alongside Windows 10, will likely carry similar display options. Much like the XPS 13 revision, the larger notebook appears equally as thin (and thus, likely very light). 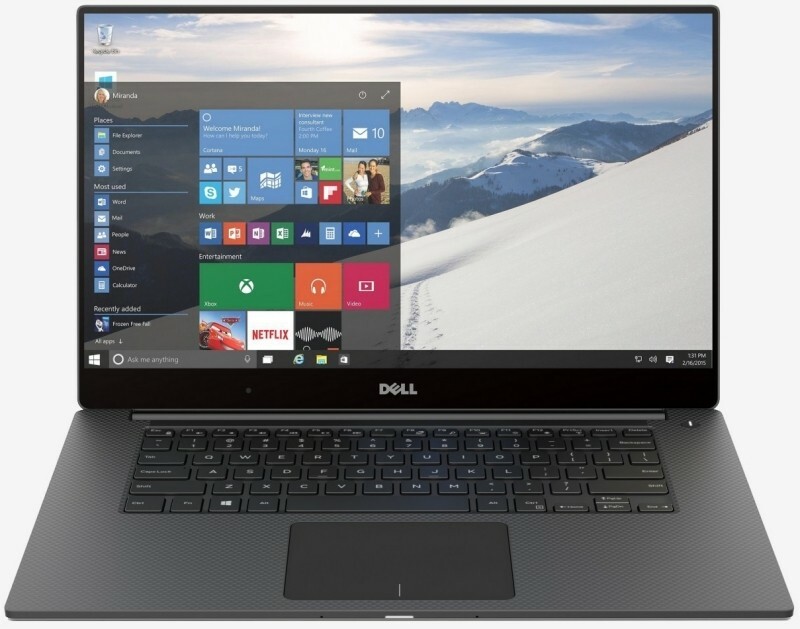 Tim crowned the XPS 13 as the best Windows notebook available at the time (if you’re after an ultraportable 13-incher) and unless Dell really screws something up, the XPS 15 may very well earn the same honors in its size class. The screen looks awesome. but 15" and no numpad? what a waste of space. That was exactly my first thought, too. There is extremely little bezel around the edge of the screen to the point where it looks like there really isn't one. Looks awesome. Thanks for the article. The 13 inch one has an 11 inch form factor which is due to their "infinity display". I'm guessing this 15 inch one will have the form factor of a 13-14 inch one, so the lack of numpad isn't as bad as it seems considering almost no 13-14 inch notebooks have numpads these days. It looks terrible, like forcing keys to take up space instead of looking sleek/clean. Speakers could be placed on the sides. The biggest impact is it forces a major shift left placing the screen field of vision to the right and the touchpad ends up being naturally hit unintentionally whilst typing. With over 80% of users being right-handed, it is totally annoying to type shifted to the left and looking to the right. Wouldn't it be nice if Dell will give it a full numeric keypad for the extra space that it have now?